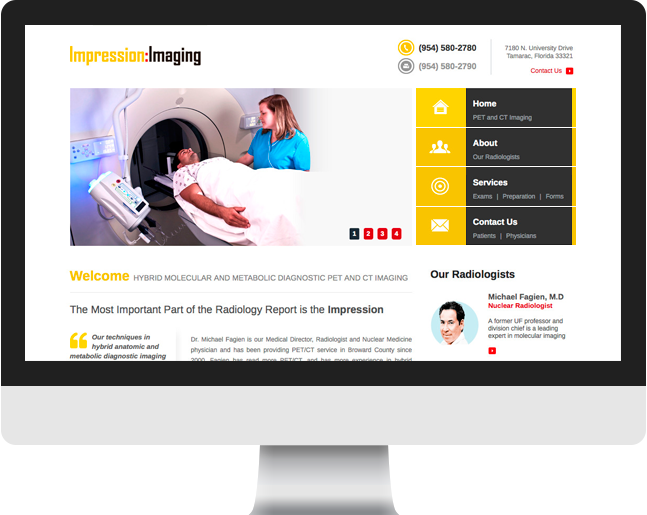 Impression Imaging strives to provide patients with the highest quality care—from their compassionate and convenient service to the best possible equipment and radiology expertise. 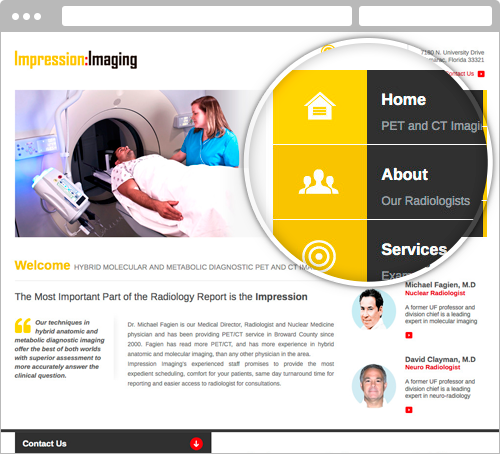 Impression’s radiologists confer with your doctors to ensure they get the necessary information to assist in your care. 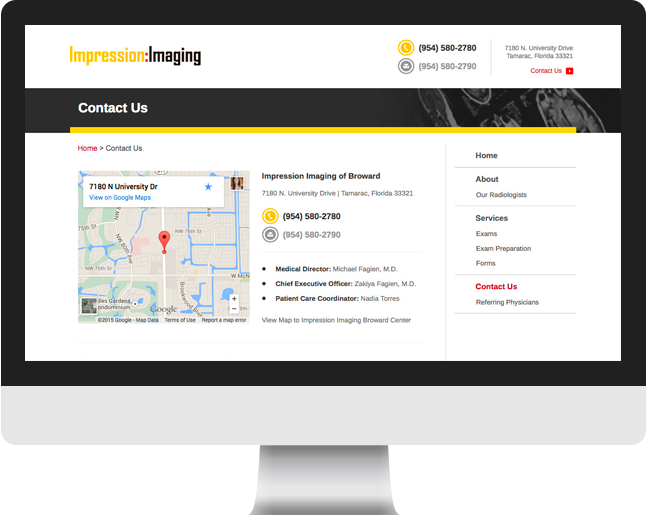 Cultura Interactive was contracted to create a new website design for their company, and provide an easy navigational experience for users to find important information about their services. 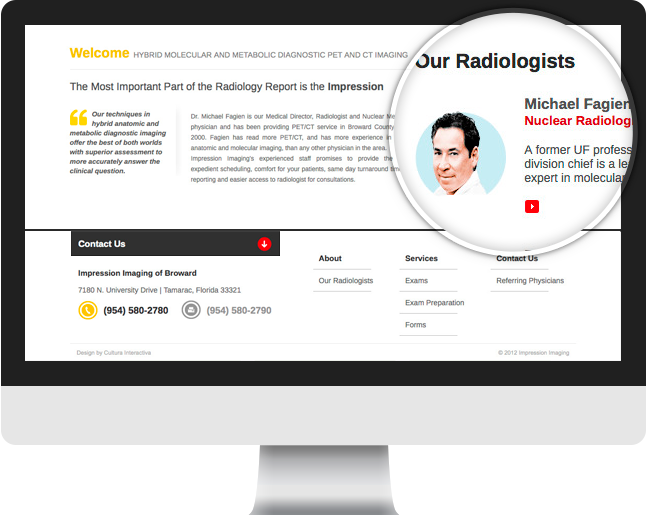 The client’s main goal for the new website was to have an easy and simple navigation between pages as well as a clean design that appeals to their target market: doctor’s offices and patients looking for imaging services. 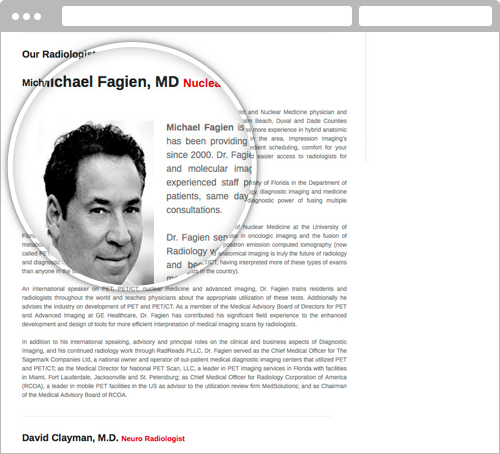 In a website for medical field it is easy to point out the expertise about their staff. We designed large buttons with icons to provide an identity for every section, and added detailed bios of the doctors as a way to build trust between the patients.